Nicknamed the ‘Philosopher’s Stone’ due to the profound thoughts and insights it can inspire, the Psilocybe tampanensis was the first truffle discovered and cultivated. Despite their ‘philosophical’ reputation, the laughs, euphoria and intense visuals associated with magic mushroom use are also present. Mood and setting remain important folks! Growing underground beneath the fruiting mushroom, these psychedelic nodules are technically called sclerotia. They have a pleasant nutty flavour with a tingling ‘sour’ aftertaste. This variety is very rare in the wild – all cultivated Psilocybe tampanensis can be traced back to a single specimen found in Florida (would you believe near Tampa?) in 1977. A year later, the world’s leading fungal expert Paul Stamets discovered how to grow the sclerotia and the Philosopher’s Stone joined the pantheon of natural psychedelics. All truffles have a hefty dose of psilocybin in them, so the effects of all of them are broadly similar. Some sources may suggest that one variety offers more ’visuals’ than others, or another is a more ‘chatty’ experience. But such variations may also be down to user expectations. Effects will be felt within 15-45 minutes of consumption, depending on dose and fullness of stomach beforehand, and last 4-6 hours. A typical trip consists of a ‘coming up’ period, an experience plateau, followed by a gradual descent back to sobriety. Effects include: bouts of hilarity, changed colour and sound perception, introspective thoughts, feelings of universal connectedness, waves of energy coursing through the body, vivid visions with eyes closed. The active substance in truffles is psilocybin, a triptamine similar in structure to DMT, a neurotransmitter produced naturally in our bodies. 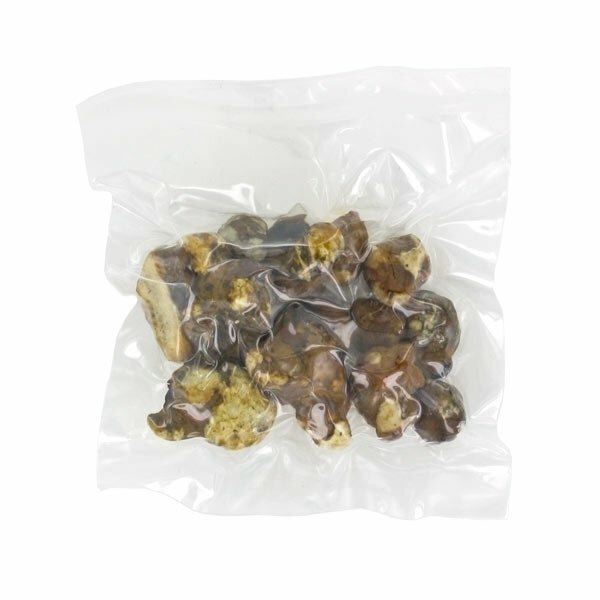 One pack contains 15 grams of truffles, though this may be reduced as water is lost during shipping & storage. The end effects will be the same. There are no poisonous byproducts or metabolites created – psilocybin is ridiculously non-toxic - so no hangover. But you may look at life a little differently the next day! As I hadn't eaten hallucinogens for some time, I chose these tampenesis truffles, they were a nice, mild trip, good traces and colours, with lots of giggles. I would recommend these for a 1st time tripper but next time I'm going for full strength! Sensations de bien être, gros fou rire. Tout l'appartement qui se déforme. Une bonne soirée avec les tempanesis ! Hi there, May I know how longer can I store my truffles in the bottom of my refrigerator? I have kept them in their vacuum package and them put them in black bag to avoid contact with light. Any suggestion to store them longer without dry them? Alcohol? Honey? Many thanks in advance. The truffles can be stored 3-4 months in a cool and dark place. Dried they can be kept for at least one year. To dry the truffles you need to find a dry place and lay them out on kitchen towels and make sure they're not touching each other. Depending on the surroundings, drying may take anywhere from between 3 to 7 days. Make sure to change the kitchen towels every other day. The best way to store dried mushrooms is in an airtight container in the dark. Dried Magic Truffles have 50%-70% less weight, so therefore the dosage should be halved. Que pasa si las trufas estan secas? Pierden su efecto o generan alguna sustancia toxica? 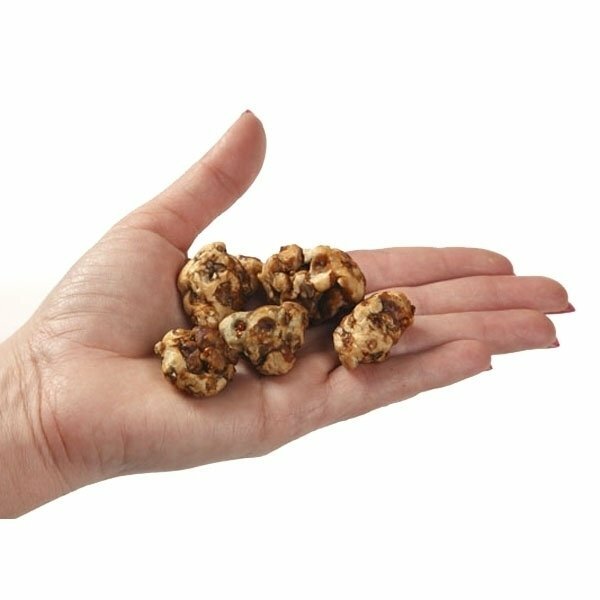 existen trufas toxicas o venenosas en forma natural? Como identificar una trufa alucinogena si me encuentro una en el bosque? 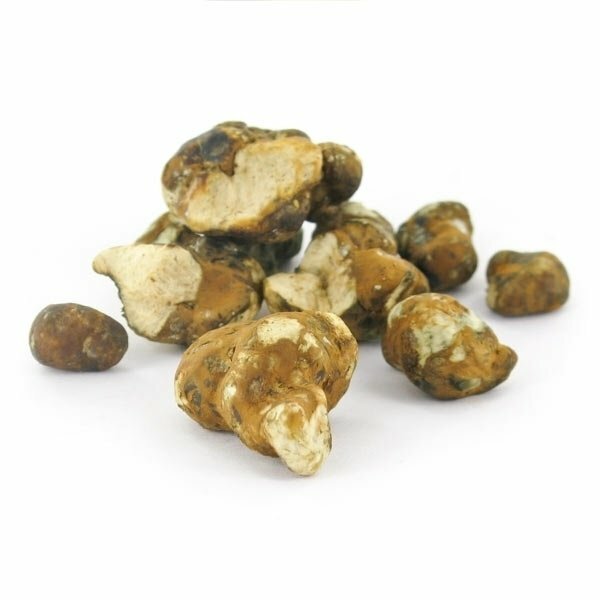 Identifying wild truffles is extremely difficult, even for experienced users, growers and collectors. Because there are many poisonous species out there, we do not recommend that you try and harvest them in the wild because of the risk involved. Our truffles are freshly packed, but can be dried. When drying these, you should expect a 50% to 70% loss in weight. Please adjust your dosage accordingly. When dried, they're best stored in an air-tight bag. Note though that, the longer you keep your dried truffles, the less strong the effect will be. Si les truffes doivent être conservées au frais, que se passe-t'il durant le transport ? All our truffles are fresh and vacuum packed. They are indeed best stored in a dark and cool place, for example the refrigerator. Our truffles and parcels are professionally packed and prepared for transit within Europe. We regularly ship to hot countries such as Spain and Italy, without any damage to the product. Note though that the packaging may appear loose upon arrival. This is the result of oxygen that has been generated within the packet by the truffles after the packing process.